One Australian man who has parodied the Where’s Wally books has found himself heavily criticised. 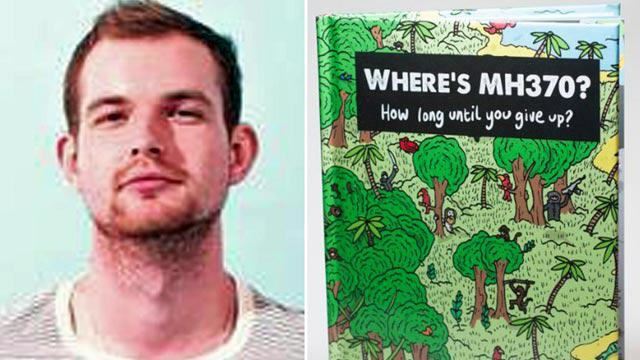 That’s because Matthew Carpenter used the style of the popular kids books to create a book asking people to look for the survivors of Malaysian flight MH370 – in hell, amongst other places. He describes himself as an ‘evil genius’ but claims the book is not in ill taste, nor is it meant to offend anyone. Somehow. 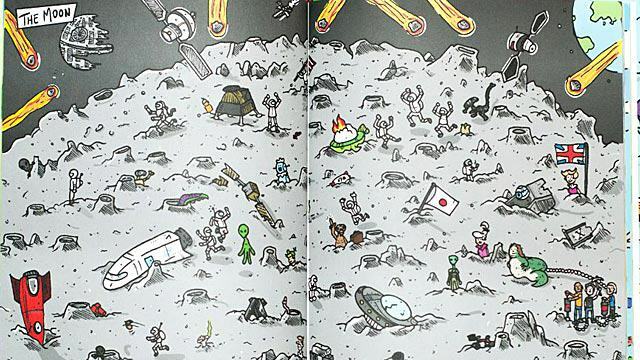 The book, launched this week, offers several locations for the parts of the plane, including the Moon, Russia and hell. It was such an obvious thing to do. I think the idea called for it to be in the same vein as Where’s Waldo. 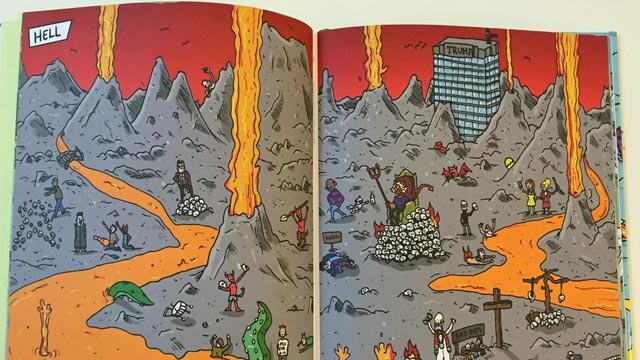 Having it as the detailed illustration colour book allowed me to be creative with cameos, Easter eggs and also make it as difficult to find MH370 as possible. The book is my way of creating a product that I think people would like. Unintentionally it’s shown how ridiculous it is that a book like this could be made before the plane has even been found. A lot of people like the book because they can see my intent isn’t to hurt. The intent was to create a search and find activity book for the hardest thing to find in the world which just happens to be MH370. If the people searching for the plane hadn’t been so incompetent with the operation the book wouldn’t have been made. I’ve always said that I create products that no-one wants or needs yet somehow finds an audience. The goal of this book was to do exactly that. When the flight disappeared, 12 crew members and 227 passengers were on board. The book is on sale for $15 and took 9 months to create – but we can’t see it selling many copies.